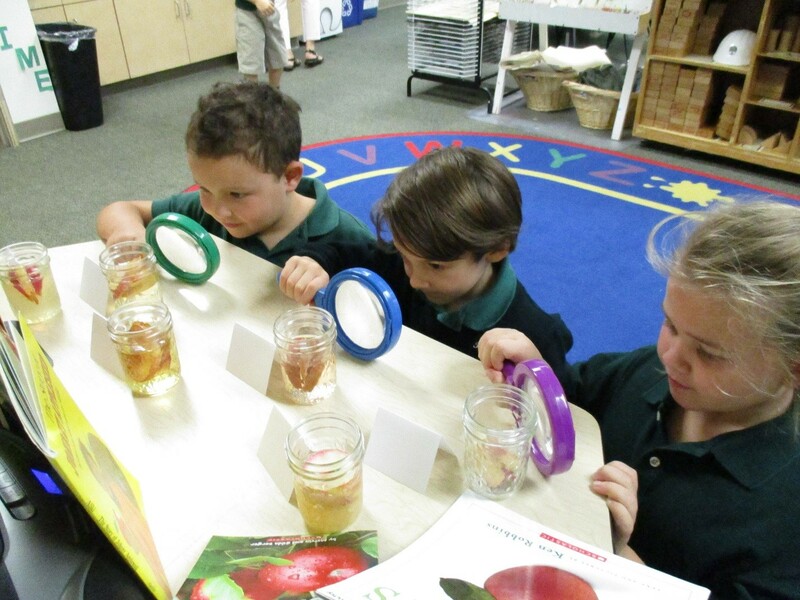 During our unit on Apples, the kindergartners used the scientific process while observing how different liquids affect apples. 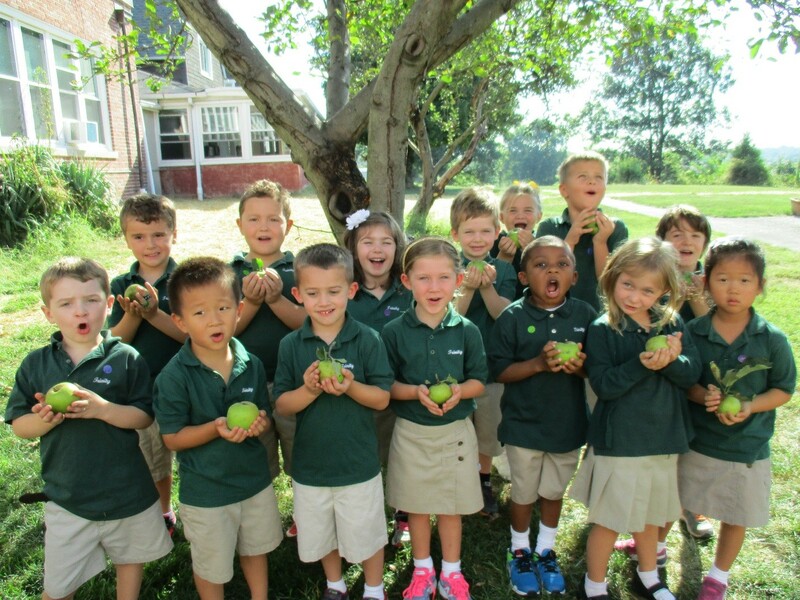 First we picked apples from the apple trees on the Trinity campus. 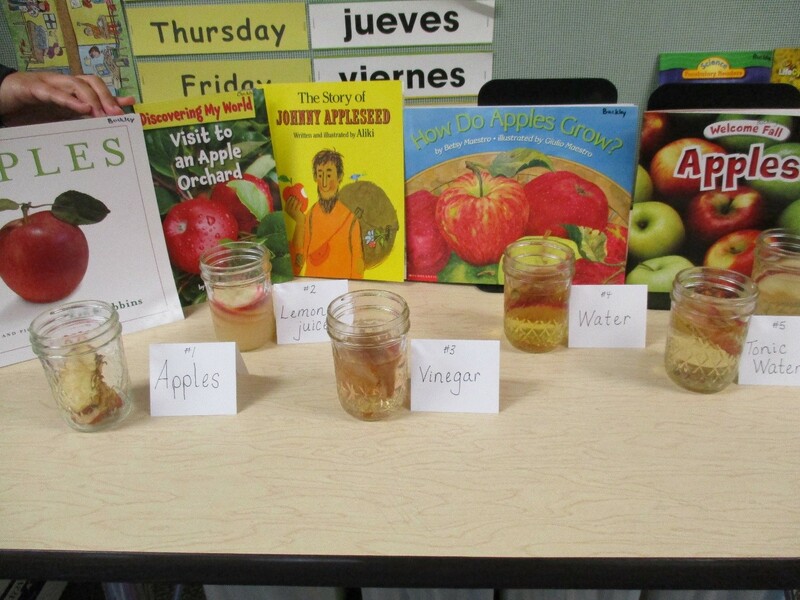 In the classroom we set out five containers with a few apple slices in each one. We labeled the containers with the name of the liquids we were going to use. We also set up a “control” cup of apple slices with no liquid. 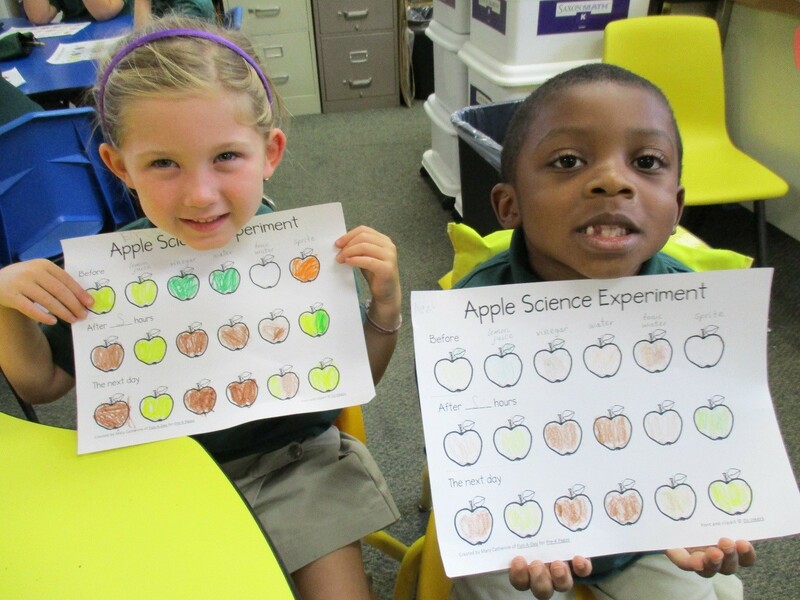 Each kindergartner drew their predictions on a recording sheet. The liquids were added to the containers. After two hours we observed the apple slices again and recorded our observations again, noting any changes. 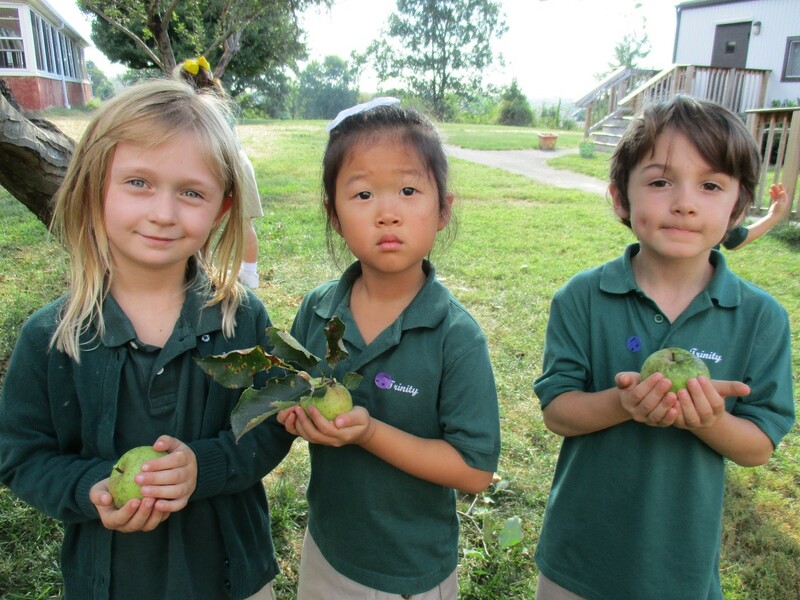 We recorded observations the next day also.